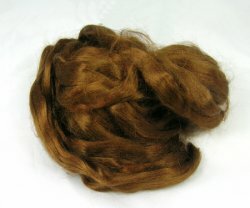 Soft luxurious wigging fibre for your miniature doll creations. 12 colors, straight or wavy. Please note that there is very little difference between the straight and wavy viscose, You can easily do any hair style with either type.